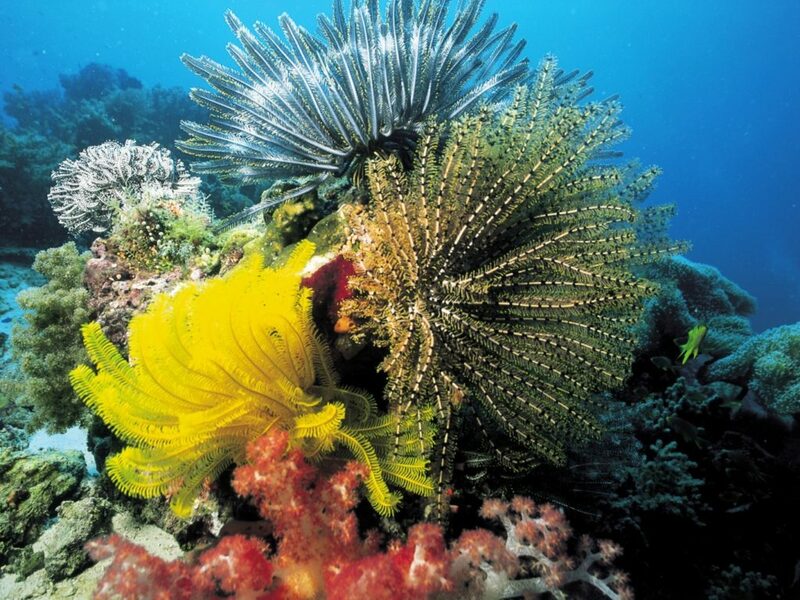 The global community, coordinated by the United Nations spoke on one accord, in support of biodiversity conservation at a convention held November 17-29, 2018 at the Egypt’s Red Sea Resort City of Sharm El Sheik. (Reported from Sharm El Sheik,Egypt). Africa and the world at large have reasons to be proud of the people and government of the Arab Republic of Egypt. They were good hosts for the 2018 edition of UN Convention on Biodiversity which ended November 29, 2018. I was privileged to be part of the delegates from Nigeria in the convention held 17-29 November 2018 at Egypt’s Red Sea resort city, Sharm El-Sheik, popularly also called City of Peace. For the entire convention days, global attention was on Egypt. The country and birth place of the pharaohs of old were exceptional. Egypt and its people provided love, livelihood and security. Indeed, there were clear a manifestation of modernity in the historic country where civilization was said to have started. Egypt is the first Arab and African country to host the event. President of Egypt, Abdel Fattah El-Sisi who was on hand to welcome delegates and declare the convention open underscored the importance of the event which Bassam Rady, Egypt’s Presidency Spokesperson described as ‘’the largest international conference of the United Nations in the conservation of biodiversity and ecological systems.’’ In his opening address, El-Sisi set the tone for discussion at the conference by emphasizing the crucial importance of the meeting for global efforts towards sustainable development. In her statement at the opening of the High Level segment of the fourteenth meeting of the Conference of Parties, Ms. Cristiana Pașca Palmer; Executive Secretary of the Convention on Biological Diversity spoke on the need and scope of the conference. She said: ‘‘This meeting of the Conference of the Parties takes place in the final two years of the Aichi Biodiversity Targets and the Strategic Plan that we adopted in 2010, and on which again, despite real progress we are falling short. We need to accelerate the achievement of these targets as we move towards 2020. To achieve this, actions are required to mainstream and integrate biodiversity in all relevant economic sectors, as well as in cross-cutting national policies, such as development plans and processes, budgets and economic policies’’. Other global leaders also made speeches and remarkable statements. There was a consensus among the various statements that maintaining biodiversity is indeed one of the main environmental challenges planet earth has to face at the beginning of the 21st century. As never before, there is an unequivocal recognition of the ecosystem services in contributing to the wellbeing of the planet and the need to reconnect communities with nature, for an inspiring future. Not less than 195 countries of the global community, including Non-Governmental Organisations (NGOs),among them, Every Woman Hope Centre (EWHC) from Nigeria, gathered to discuss aspects of the conference at Sharm El Shiek. The theme was: ‘‘Investing in Biodiversity for People and Planet”. The Sharm El Sheik conference is the 14th session of the Conference of Parties to the Convention on Biological Diversity (CBD) (COP14).It was held together with the 9th meeting of the Parties of the Cartagena Protocol (COP/MOP9) and the 3rd session of the Conference of the Parties serving in the Meeting of Parties to the Nagoya Protocol (COP/MOP3). 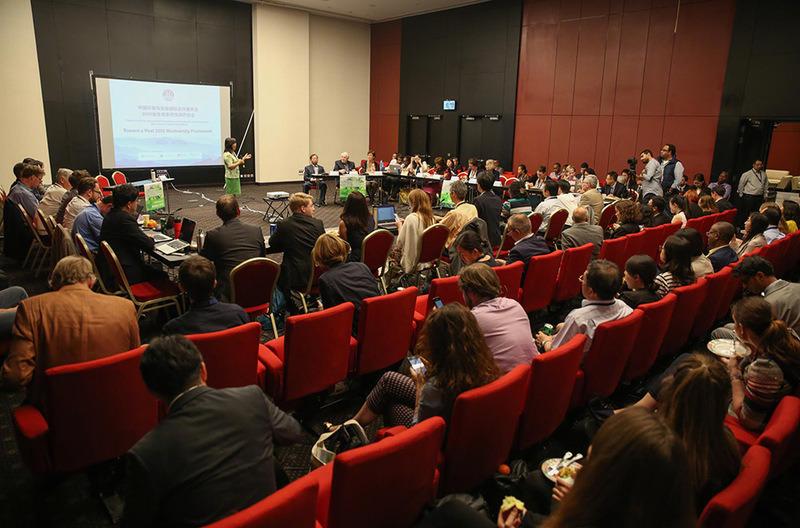 The Parties to the Convention together with other delegates carried out interim examination of progress accomplished in implementing the ‘‘Strategic Plan for Biodiversity 2011 – 2020. The parties discussed the efforts needed to achieve the Aichi Biodiversity Targets which will lay down the basis for developing the Post-2020 Global Biodiversity Framework. 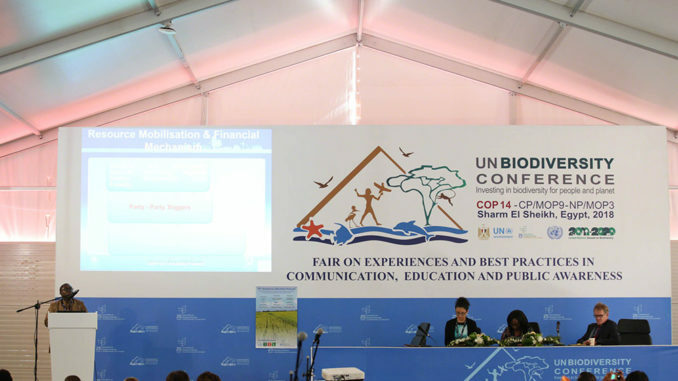 COP14 will also include pioneering discussions on the integration of the biodiversity in the five key sectors of the economy; infrastructure, mines, energy and gas, manufacturing and health. Biodiversity, short for biological diversity, is a reference for variety of life on earth; from the smallest form of life (microorganism) to the biggest mammal. It is often referred to as the web of life, as it encompasses all species and their interaction among themselves together with their habitat which is the ecosystem. Biodiversity is very essential for ecosystem health, sustainable food production and resilient livelihood. It is the living fabric of our planet and underpins human wellbeing in the present and in the future. Biological diversity is important for life on earth and is one of the pillars of sustainable development. All life on earth depends on biodiversity, clean air and water and a stable climate. Unfortunately, we are degrading this nature’s gift to humanity through our own actions and the alarming pace of biodiversity loss threatens devastating consequences for mankind if it goes unchecked. Biodiversity loss implies the reduction and disappearance of species and genetic diversity, and the degradation of the ecosystem. The degradation of habitats, pollution and unsustainable use of biological diversity in recent decades has led to its rapid decline and it threatens nature and people alike. This puts nature’s vital contribution to humanity in jeopardy, thus endangering economies, food security, cultural diversity and livelihoods and constitutes a major threat to peace and security. The main drivers of biodiversity loss are climate change, over-exploitation of natural resources, pollution and urbanisation according to reports released in 2018 by Intergovernmental Science-Policy Platform on Biodiversity and Ecosystem Services, (IPBES). The impact of the growing global population basically is affecting these very natural resources on which human life is based. Several of the planetary boundaries that have already been breached include the biodiversity now being lost at an unprecedented rate in the last 65 million years. Nearly a third of forest cover has been cleared worldwide and atmospheric concentration of carbon dioxide now exceeds 400 parts per million with greenhouse gases also acidifying the ocean, changing their chemistry faster than at any time in perhaps 300 million years. Scientists have warned that the planetary boundaries that enabled all civilizations to form and prosper over the last 11,000 years are being exceeded. Today, we stand at a defining moment for the future of the planet and human well-being. Fortunately, the world is responding to reverse or halt this decline through transforming people’s roles, actions and relationships with biodiversity. This transformation has already begun with the commitment of the international community to the 17 Sustainable Development Goals (SDGs) of Agenda 2030, which is a holistic framework that highlights the complex interconnections and interdependencies between society, biodiversity and sustainable development. The 2020 deadline for achieving most of the Aichi Biodiversity Target is only a few year away. There is a great deal to do in this short time. Awareness and appreciation of the diverse values of biodiversity needs to be amplified further and mainstreamed within the global framework so as to transform human behaviour and choice in favour of biodiversity conservation and restoration for its sustainable use. Safeguarding biodiversity on earth is indeed critical in overcoming major global challenges. While changes to the climate may be reversible with time, there is no going back once species become extinct. Although protecting pristine areas and other high conservation value areas considered important is vital, global conservation of biodiversity will not be achieved without the sustainable management of areas in which people and nature interact. We cannot rest as the threat to biodiversity continues. ‘‘We have made significant step in combatting biodiversity loss. Let us keep moving forward to seize the moment” – (Atty Roberto .V. Olivia, former Executive Director; Asean Centre for Biodiversity).